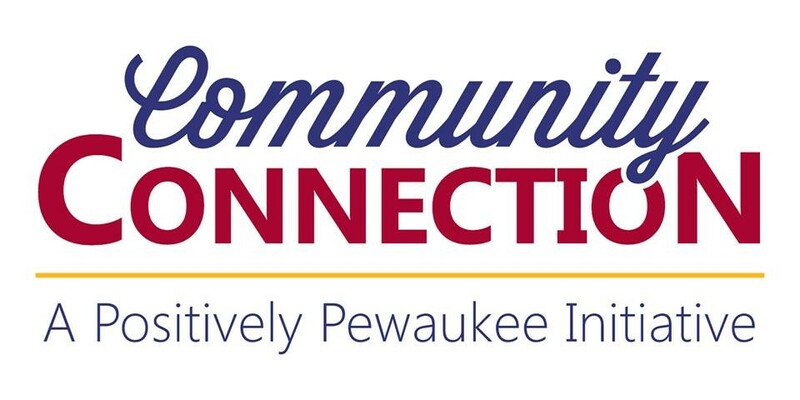 Community Connection is a committee of Positively Pewaukee volunteers formed to support and supplement other nonprofits whose mission is to help families in need in Pewaukee. The goal of the committee is to provide assistance to these non profits through marketing, outreach, volunteers and fundraising. No Pewaukee family should be without basic needs. Together, we will work to make this a reality. Backpack Coalition – We fill over 200 backpacks for Pewaukee school children. Pewaukee Food Pantry – We work on numerous projects with the pantry including supplying food, health care products, and Christmas gifts, as well a coordinating volunteers. Clothing items/Snacks – We provide clothing and snacks to children in the Pewaukee schools that are having financial difficulties. Learning Lab – We work with the High School to provide snacks and incentive gift cards to young people who are returning to school to get their GED. Our goal is to encourage them to continue pursuing their education. Emergency Fund – We purchase gas cards or grocery gift cards for families in temporary crisis such as fires or other emergencies. We also provide clothing and school items for these families. Police Comfort Bags – We supply Comfort Bags, small backpacks that contain toys, crayons and coloring books, for police officers to share with children in need of comfort in a stressful situation. Other projects include funds for field trips, special awards, and other services as needed. In partnership with United Way of Greater Milwaukee & Waukesha County, the Community Connection Committee will once again fill and distribute backpacks for Pewaukee School Children in 2019. Our goal is to fill over 200 backpacks for students with financial constraints, helping ensure they succeed in school. You may drop off your donations at North Shore Bank 120 W. Wisconsin Ave in downtown Pewaukee on the second floor. Please deliver all donations by August 4, 2019. 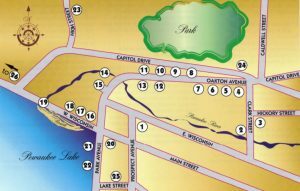 If you would prefer to give a cash donation, checks can be made out to Positively Pewaukee Community Connection and mailed to 120 W. Wisconsin Ave, Pewaukee 53072. Thank you for your support. We will post specific needs at a later date.